Financial Times has ranked our International MBA program No. 8 in the world, No. 4 in Europe, and No. 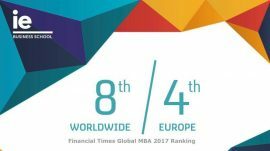 1 in Spain, in its 2017 Ranking of MBA programs published this morning.